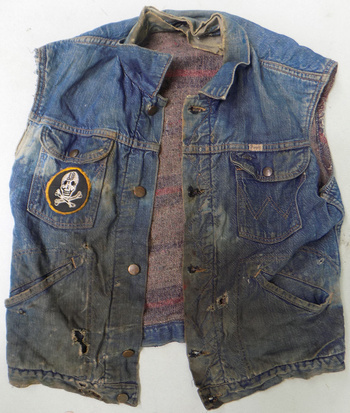 In Mens Clothing > Denim Jackets > Show & Tell and Mens Clothing > 1960s Mens Clothing > Show & Tell. 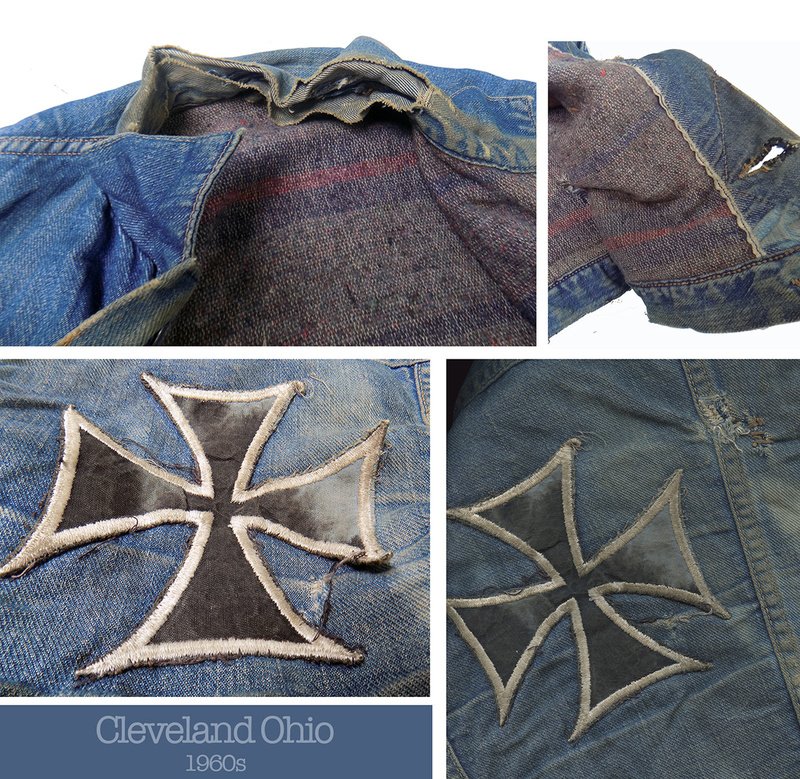 This gnatty old soiled beat denim Motorcycle Gang jacket from Cleveland Ohio appealed to me and I added to the collection. The "smiling skull" emblazoned with the number 13 I assume has to do with the gang itself. I have not been able to find the specific gang name and tried - does anyone know? 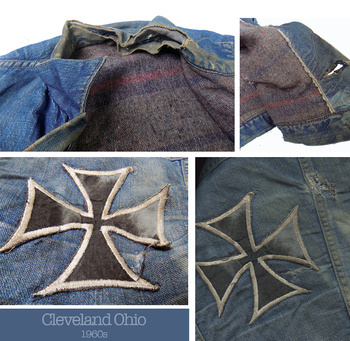 ...The large Maltese cross on the back I knew in my youth as a "surfer's cross" - I believe it may have also been called a "biker's cross". This relic of a jacket from the hippie biker era saw some use and we can only imagine what "the use" entailed. 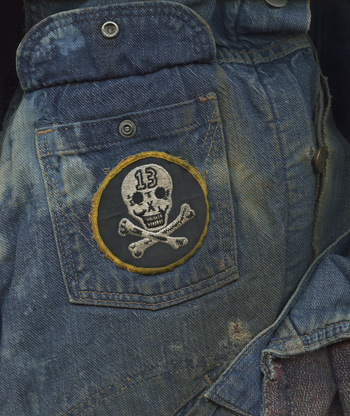 Not any "Charter" style logo, these patches were readily available, back in the day. 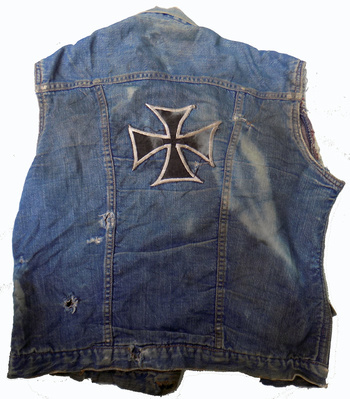 This would be a "Lone Wolf" cut-off, which means this person was wearing as an expression of their lifestyle. Again not a club, but life choice. Thanks... which helps it fit the hippie criteria - appreciate your help. You're very welcome, enjoy looking through your postings, keep them coming. I agree with Kerry10456. Lone wolf who was just trying to live the biker life. nice piece.